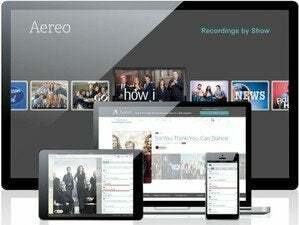 The cord-cutting revolution may come into its own in 2015, but the pioneering service Aereo won't be a part of it. After shutting down two offices in a desperate attempt to save the company earlier in November, Aereo filed for chapter 11 bankruptcy on Friday. "We have traveled a long and challenging road...We feel incredibly lucky to have had the opportunity to build something as meaningful and special as Aereo," company CEO and founder Chet Kanojia wrote in a blog post on Friday. Kanojia says bankruptcy will allow the company to "maximize the value of its business and assets without the extensive cost and distraction of defending drawn out litigation in several courts." Aereo's idea was simple: Warehouse a bunch of nickel-sized TV antennas and rent them out to people who wanted access to live over-the-air TV via the Internet. Aereo believed its use of technology and business model meant it wasn't a traditional cable provider and could thus avoid paying heavy fees to television broadcasters. The company was effectively killed in June when the U.S. Supreme Court ruled that the company was more or less a cable provider. Why this matters: Aereo wanted to set the cable industry on its head. 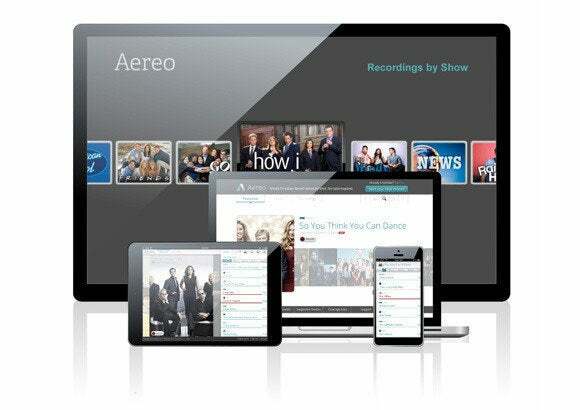 At one point the company was expanding so rapidly that it seemed Aereo would outmaneuver its opponents and would ultimately succeed at delivering a live TV experience over the Internet nationwide. But the Supreme Court decision ended that ride. The death struggle between Aereo and broadcasters did prove one thing, however: If a (legal) cord-cutting revolution is going to come it will have to begin with the industry bigwigs. After Aereo's loss in June, the dream of true cord cutting seemed farther away than ever. Then, something funny happened: Content producers started talking about delivering unbundled TV services via the Internet. CBS in October announced CBS All Access, a standalone streaming and live TV service for CBS content. Then in early November, the company hinted at a standalone streaming service from Showtime in 2015. HBO is planning an unbundled, HBO GO-like service for non-cable subscribers. Sony is also getting into the game, albeit in a manner closer to a traditional cable company, with the newly announced PlayStation Vue. Verizon is also expected to launch an a la carte streaming TV service in 2015. Even Comcast is faking the cord-cutting spirit with Xfinity X1, an interesting service that is almost, but not quite, a cord-cutter's dream. It's still early days for the cord-cutting revolution, but Aereo's final demise is not the end. Instead, the company's goals are being picked up by actors within the cable and broadcast industry. Whether those players have the will to deliver true, affordable cord-cutting services, however, is far from clear.